WallabyJs, a smart unit tests runner! 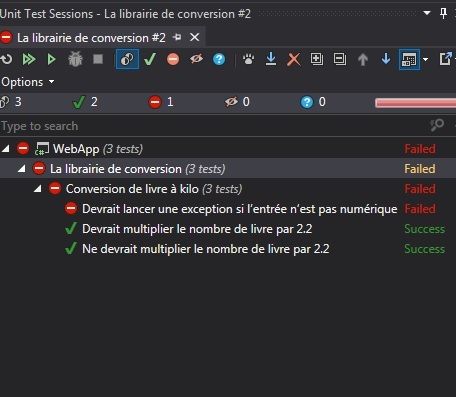 It reports the results directly into your code editor immediately when you change your code, we take example by Visual Studio 2.1 and the Jasmine framework for testing. 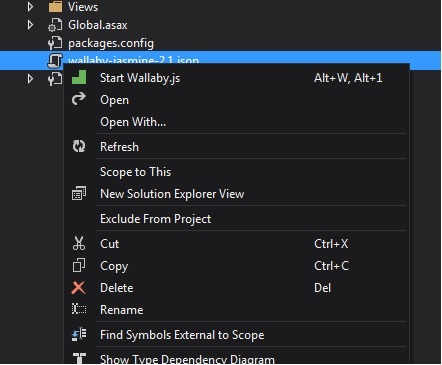 In our case, we’ll use Visual Studio 2013 to download the addon for Visual Studio WallabyJs here. 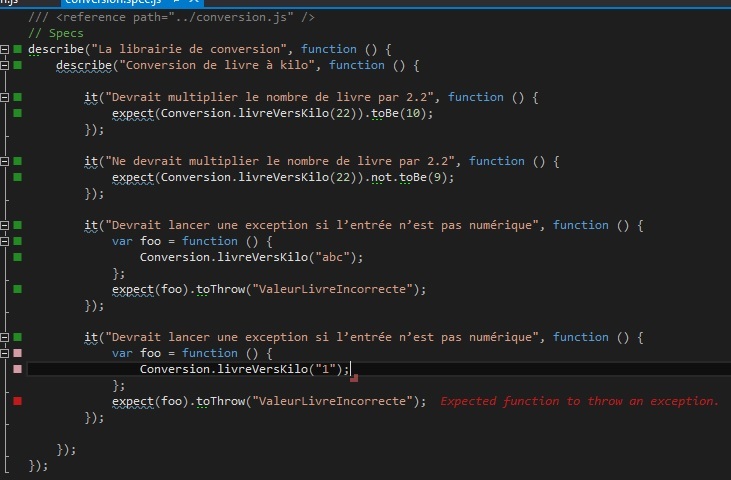 Caution : must have at least 4 update for Visual Studio 2013 to be compatible. 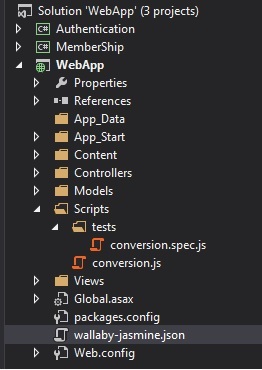 The properties “files” and “tests” are arrays, you can put as many files as you want to test, “files” for files containing the test, “tests” for files of unit tests to execute. You can also select with * all files in a directory you want. Important detail : it’s not free unfortunately! For the price, it’s here. I’m using Angular CLI beta, how to update to Angular CLI RC and Angular 4 ? 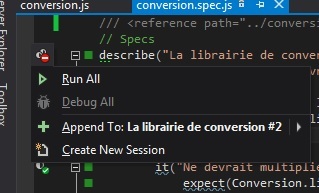 How to configure Visual Studio Code with Visual Studio Team Services?